Exclusive to The Japanese Shop, the Cherry Blossom Japanese Incense Set comprises of a pink ceramic cherry blossom shaped incense stand and two packs of incense. The light pink sticks are a delicate fruit-based blend of peach, raspberry and jasmine and the darker pink ones of lily of the valley and bergamot. Each pack contains 15 x 7cm long organic incense sticks which take 15-17 minutes to burn. 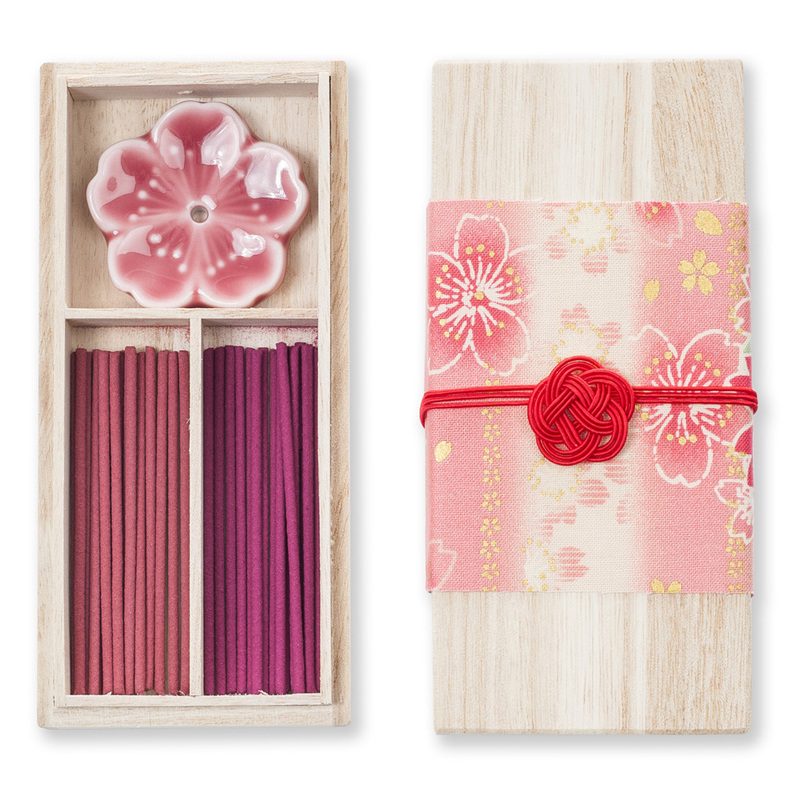 The Cherry Blossom Japanese Incense Set comes complete with a stylish balsa wood gift box and would be ideal for someone who appreciates good quality Japanese incense. 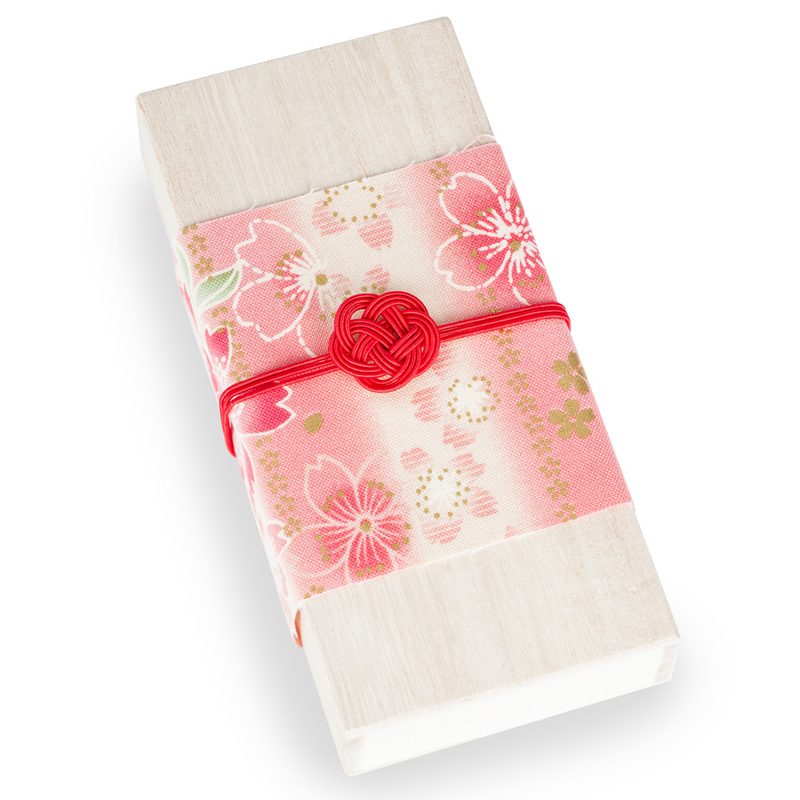 Buy your Cherry Blossom Japanese Incense Set online and have it gift wrapped free of charge, or visit our showroom for this and more traditional Japanese incense!